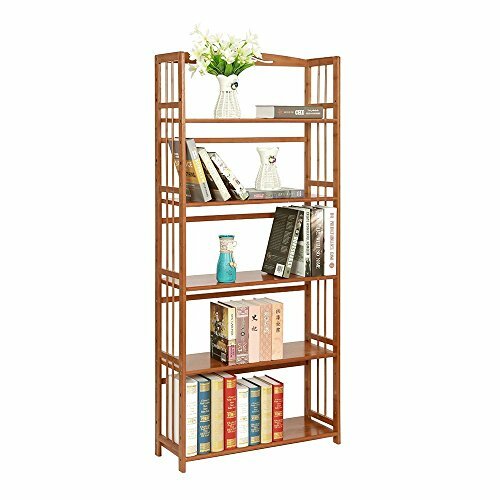 This 5-tier bookshelf is made of high quality natural bamboo, health water-based paint, elegant qualities, natural eco-friendly materials with no smell. 5 Thicker Tiers removable layers with environmental protection painting, durable, smooth finish, no burr. Load capacity 35 lbs per layer, can be used as bookcase shelves, blue X-ray, DVD, CD display shelving, kitchen storage rack, plant stand in living room, kitchen, bathroom, hallway, entryway, garage. If you have any questions about this product by maxgoods, contact us by completing and submitting the form below. If you are looking for a specif part number, please include it with your message.